What things do human beings need to survive? There are the big ones – food, water, shelter – and then there are some necessities that aren’t quite so obvious, like love. Yup, I’m gonna go out on a limb and say that humans need love to survive. Have you seen any movies where someone is stranded on a desert island with no other humans and totally loses their mind, (or basically any romcom ever)? The search for love is such a focus for humans that we’re willing to go to extreme lengths to find it. Luckily, the invention of a little thing called online dating means that the extremes we go to in order to find love don’t have to be all that extreme. Connecting people with potential love (or, at least, sexual) interests is such a hot business these days that sites like DatingBusiness.com have popped up to help any individual create any dating site they can dream up. Unlike other dating site creation companies, DatingBusiness takes care of the whole process for you. There are no pre-built templates to choose from; rather, the designers who work for the company will create your site based on your specifications. Once the design is taken care of, DatingBusiness.com has a team of developers who will build it up for you; no previous development knowledge on your part required. And then once it’s all built, you still don’t have to do anything because the DatingBusiness folks will manage, provide tech support, and customize your site even more for you. But all of that work doesn’t come for free. As a fully managed service, all Dating Business pricing includes web hosting, server upgrades, and monitoring. 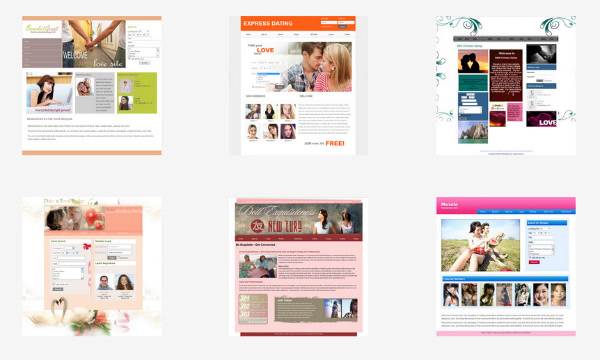 The “professional” package from DatingBusiness.com will put you back $99 per month and comes with a domain name, a complete dating site, unique design, 100% customization, 10 hours of customization per month, 100GB disk space, 1000GB traffic, a virtual private server, and ticket/email support. The next level up is “business,” for $149 and you get all of those things, but just bumped up a bit. Lastly, you can go for the whole shebang with the $199 per month “enterprise” package, which basically takes care of everything you could want and then some. A focus on niche dating sites. DatingBusiness.com already has a roster of niche dating sites under their belt, including sites like “Canada Dating,” “STDs Dating,” and “Webcam Dating.” They’re clearly willing and able to go with any niche you can come up with, so if you’re searching for an all-inclusive place to get your “Beards Only” or “Purple Lovers” dating site off the ground, take a look at DatingBusiness.com.